Want to connect with Iryna? 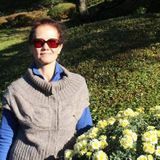 I Hope You Are Having a Good Day..... name is Iryna and I live in Chicago.I am married, I am 50 y/o energetic,hard-working and reliable worker . I'm hoping to find a domestic helper work opportunity in Chicago, Illinois. I hope to utilize my experience as a domestic helper. Your Home Will Safe With Me. I am happy to help with surface polishing, bed changing, and attic organizing. I enjoy clean meticulously kitchen,bathrooms,general rooms,baseboards,doors,ceiling fans,windows inside(out),polish furniture,plant care,laundry with folding and putting clothes,basement,stairs,vacuum,mop and polishing floor. Further, I have personal transportation available and own all necessary equipment. Regarding previous experience, I have 4 years of experience.